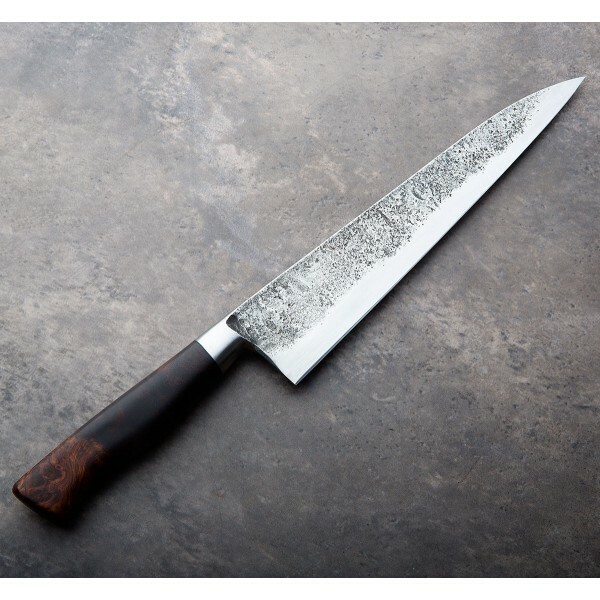 An integral chef by Dan Prendergast build by hand in central England with a beautiful and classic European profile, the forged Bohler K510 carbon steel blade balances a hair in front of the choil with a solid, work-horse feel in the hand. 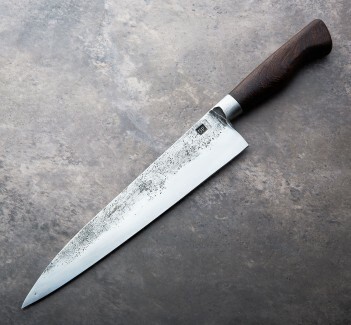 The blade's spine tapers steadily from 3.5mm above the maker's mark to 1.2mm one inch from the tip, helping to provide an almost unnoticeable amount of flexibility toward the tip, making this a versatile, daily use knife in an excellent and handy size at 221mm / 8.7". 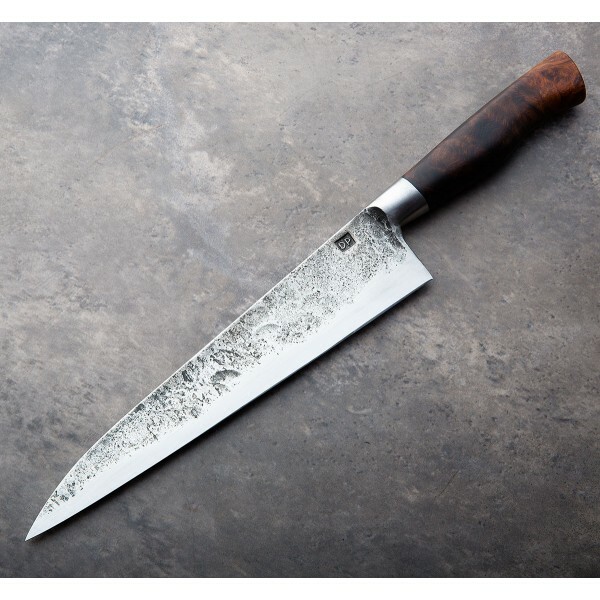 The ironwood is the perfect match for a simple and elegant chef created by an extremely talented bladesmith.  For over a decade, Dan Prendergast, based in Gloucestershire Cotswolds in south central England, has been creating culinary tools for professional and home chefs. Dan's extensive and varied background in metalwork, which has spanned piano pedal springs, copper hop boilers as well as ironwork conservation and restoration for Kensington Palace and Canterbury Cathedral, gives him the knowledge, perspective and experience to create kitchen tools whose simple beauty is derived from a focus placed squarely on function and time honored, traditional techniques. 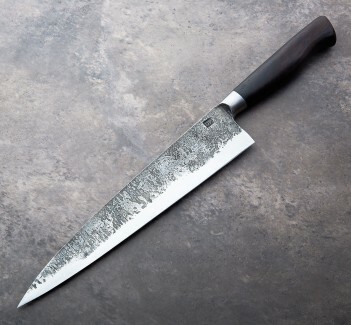 Blade: Bohler K510 high-carbon steel (a clean steel by Austrian producer Bohler-Uddeholm.) Handle: Sustainable dessert ironwood.